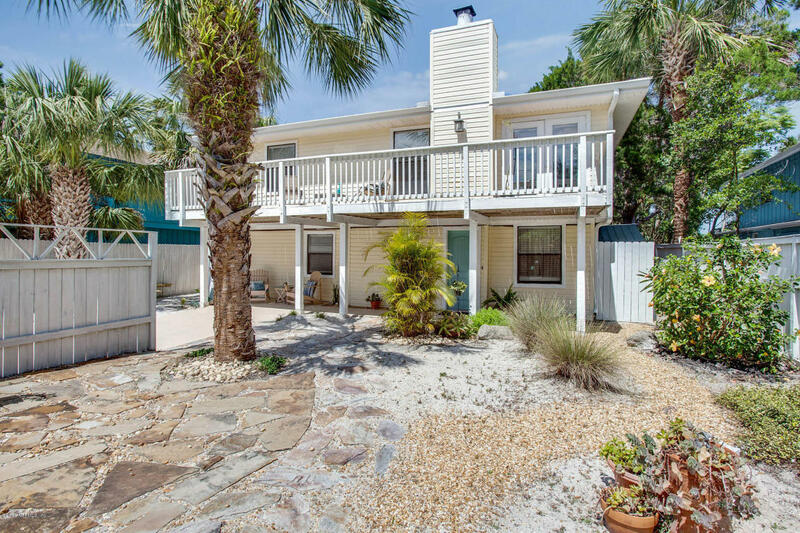 Charming, delightful, welcoming are what you'll say when you walk into this cottage by the sea in Vilano Beach. Great fenced backyard with a sandy beach area! Front yard with garden gate. Wonderful outdoor space and even more relaxing indoor space. 2 bedrooms downstairs with a family room creates a possibility for an in-law suite. Master bedroom, living room with fireplace and kitchen upstairs. Newly renovated downstairs with porcelain tile. Upstairs is bamboo flooring. Fire pit in back yard conveys.